As many as 3 million people in Zimbabwe will likely need food aid this year, a government minister said over the weekend. That number is double the previous estimate due to severe drought linked to a potentially record-breaking El Niño in Southern Africa, according to Zimbabwe’s state-owned newspaper the Herald. 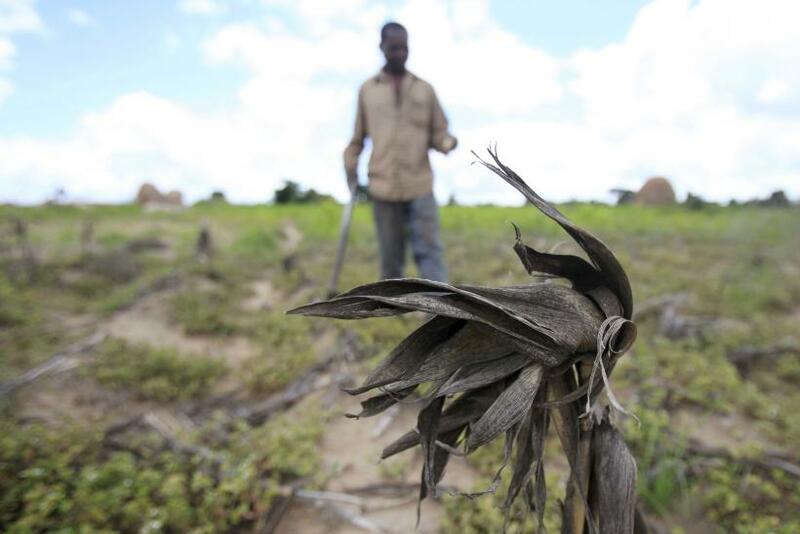 Drought is becoming more frequent and severe in southern Africa as climate change worsens. That, combined with this year’s El Niño weather system, is taking a heavy toll on Zimbabweans. Weather agencies worldwide have said the current El Niño may turn into the strongest on record. The phenomenon, which is a warming of the equatorial Pacific Ocean, has affected rainfall across Southern Africa over the year, killing crops, disrupting hydropower production and forcing local water authorities to implement strict rationing in some areas, according to Reuters. Prisca Mupfumira, Zimbabwe’s social welfare minister, said the amount of food currently being distributed is inadequate because it was planned for last year’s figures. The number of “distress calls for food assistance” has massively increased since then and has spread throughout the country, including provinces that were once food-secure. "We are using food distribution registers which show that the number of those in need of food aid has doubled from 1.5 million last year,” Mupfumira told the Herald Friday.